Welcome to KERN's translation office in Cologne! The city of Cologne is a carnival capital, it is gaining importance as an international economic and cultural hub, it is one of the biggest locations for education and research in Western Germany, and it is regarded as an important conference and trade fair city. Bearing this particular relevance in mind, it is no surprise that the KERN branch in the Rhine city is among our oldest locations. Since 1983, we have been serving numerous clients in Germany's fourth largest city with a comprehensive portfolio of foreign language services. 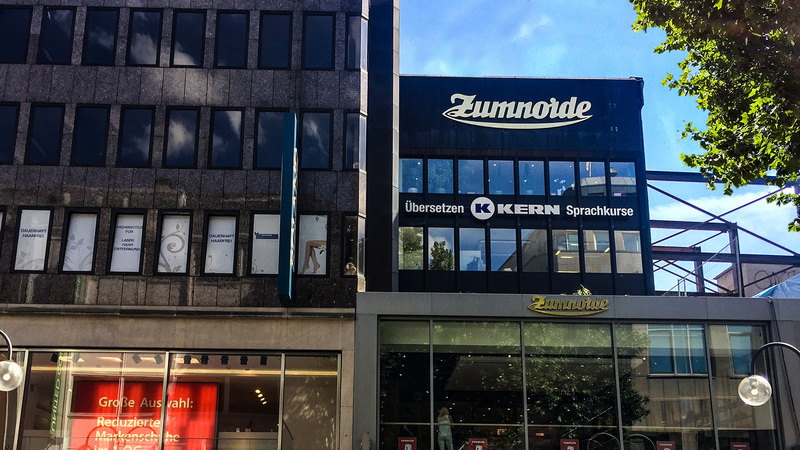 If you would like to visit us in person, you can find us right in the heart of Cologne's city centre, very close to the southern part of the old town and around 900 metres south of the main railway station. We look forward to your visit!